ShareTheMeal is an initiative of the United Nations World Food Programme (WFP). WFP is the world’s largest humanitarian agency fighting hunger. Each year, WFP reaches 80 million people with food assistance in around 80 countries. WFP is 100% voluntarily funded, so every donation counts. WFP’s administrative costs are among the lowest in the non-profit sector – with 90% of donations going directly to WFP operations. 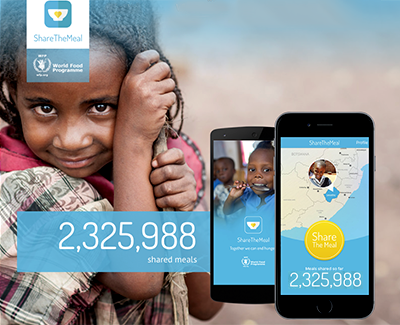 ShareTheMeal is an app from the World Food Programme that enables people to "share their meals" with children in need. Available on both iOS and Android platforms, it allows you to effortlessly donate 35p (the amount it costs to feed one child for a day) any time you decide to do so. You can, of course, donate more if you want. Louis Westphalen has published a fascinating article on Hewlett-Packard's 1977 'smartwatch'. "...it is 1977, quartz watches are still less than 10 years old; it's the year Star Wars hit theatres for the first time... and you are looking at... nothing less than the most technically advanced wristwatch ever produced." "Remember the Casio calculator watch? 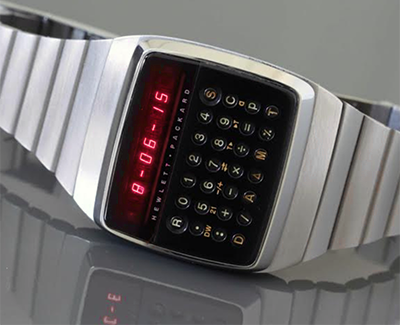 – the HP-01 could be considered its mastermind ancestor, reaching an unprecedented level of complication, back in 1977. Its technical feast has to be put in perspective: imagine fitting three batteries, and six chips in a wristwatch some 30-plus years ago! As its advertising puts it: "With the HP-01, you can compute and then count down the time it takes for a command to reach a spacecraft several hundred million miles away."" "The 7-digit screen has the bright red LED display that were popular in the 1970s. To compute all its functions, it featured a 28-button keyboard; you could access to the main six functions with a tap of your fingertip. For the remaining 22 actionable buttons you needed a stylus. HP engineers had found a very astute way to always have the stylus handy, is ingeniously fitted into the bracelet buckle." "The HP-01 definitely qualifies as bulky on the wrist (it's a massive 40 mm x 45 mm x 15 mm). It is not on the light side, weighing a respectable 170 grams or 6 ounces. At the time it was introduced, it was sold for $695 on its steel bracelet – more than a Rolex." 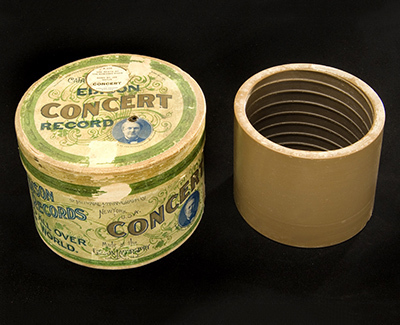 The University of California at Santa Barbara library has undertaken an heroic digitisation effort for its world-class archive of 19th and early 20th century wax cylinder recordings, and has placed over 10,000 songs online for anyone to download, stream and re-use. The online database boasts recordings from the late 1800s to the early 1900s, ranging from hit singles to operatic arrangements to vaudeville songs. There’s also spoken word — including speeches and readings — and everything is searchable by title, genre, instruments, region, and even subject. To visit the library, click here. 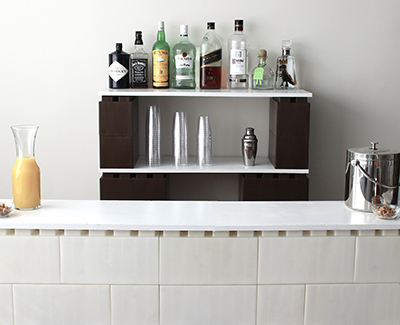 EverBlock Systems offers a modular building system of oversized plastic blocks that facilitates the construction of all types of objects. It's quick and easy to build nearly anything, by stacking and organising the universal blocks in nearly any shape, pattern, or size. Anything you've constructed can be taken apart and re-assembled again, and the pieces can be re-used to build other objects, making EverBlock a unique green building method.